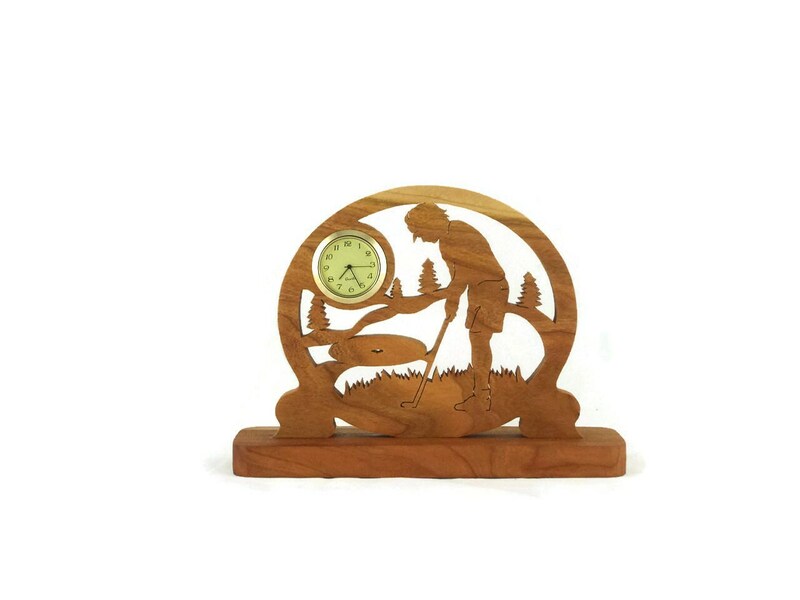 Any Golf enthusiast would proudly display this female golf scene desk clock on their desk or shelf. 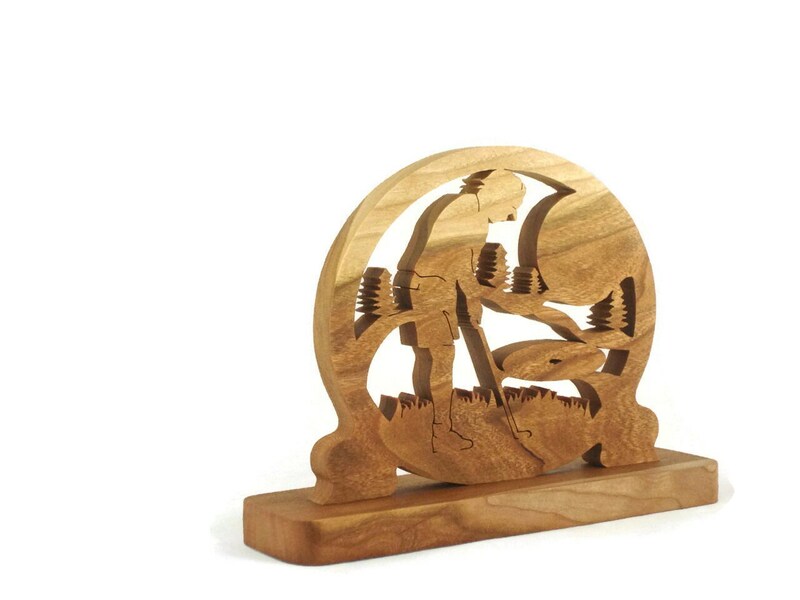 What a perfect gift to give that special someone you know that loves playing golf. 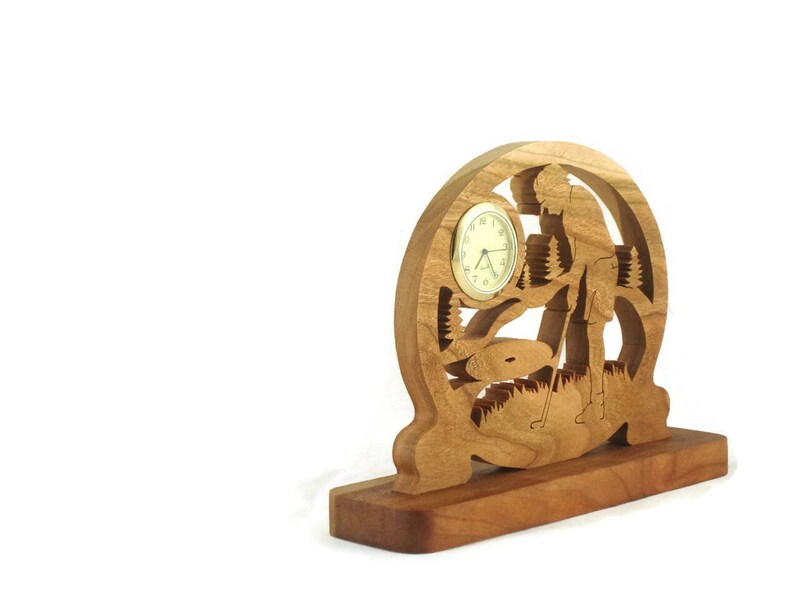 This time piece will sure to spark some golfing conversations in the office. 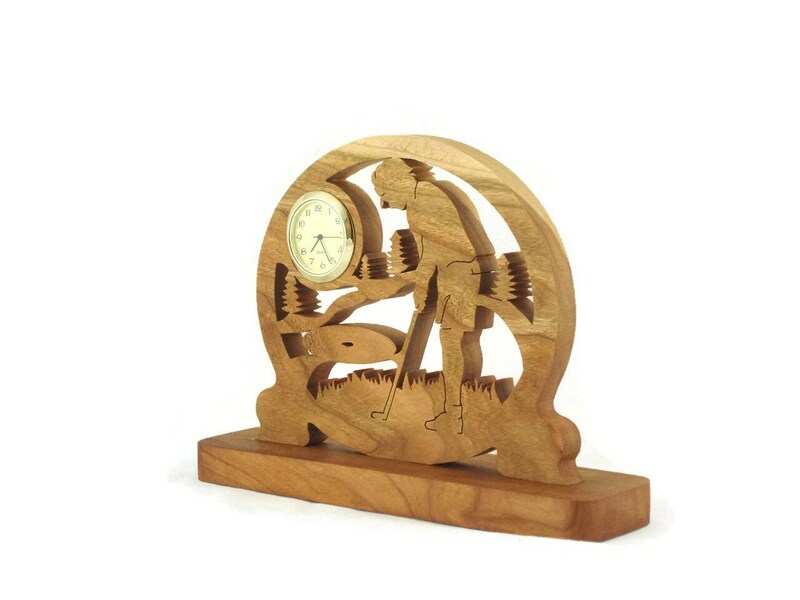 This female golf scene clock features a scene of a female golfer possibly hitting that hole in one. A nice scene of a tree line in the background while the golfer is out on the green. 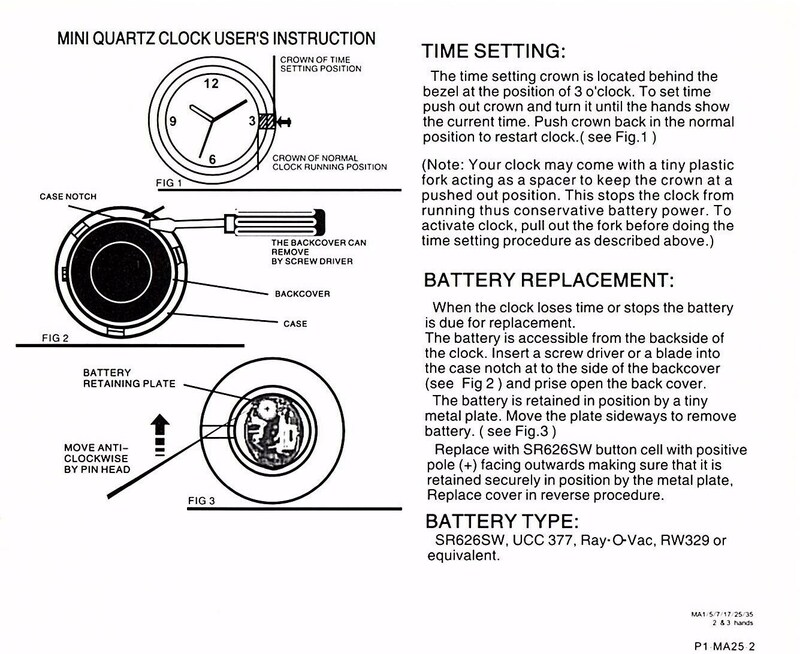 All of this scenery is encased in an oval shape with the clock up above like the sun is shining down lighting up the coarse. 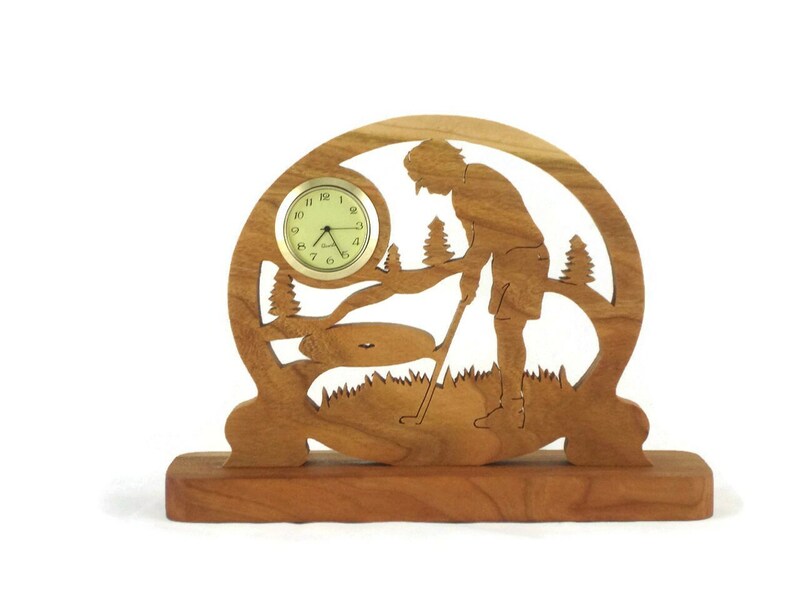 A male golf scene clock is also available.